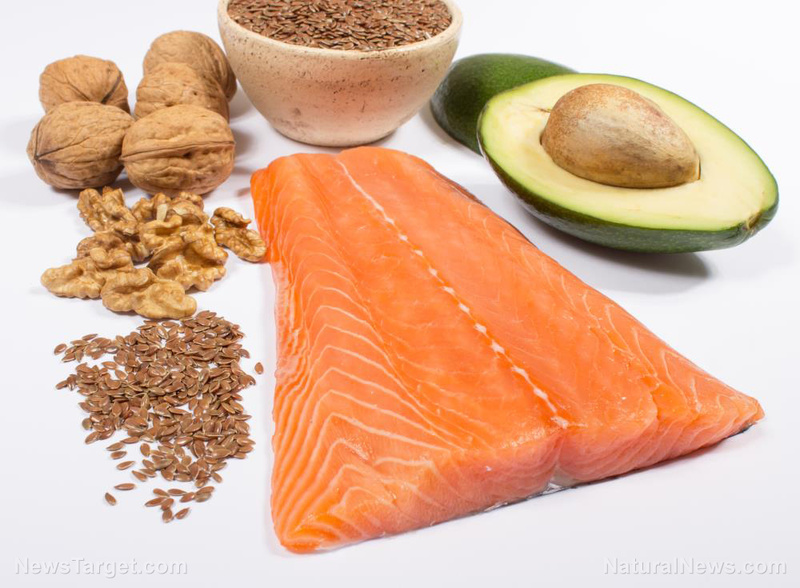 (Natural News) Scientists continue to study omega-3s, and the health benefits of these fatty acids never seem to disappoint. Recent research has shown that regular consumption of omega-3s can help reduce your risk of heart disease. Past research has shown that people who consume fish are at a lower risk of having cardiovascular issues, but whether these protective benefits come from fish as a whole, or simply omega-3s, has been unclear — until now. There are three types of omega-3 fatty acids: Alpha­linolenic acid (ALA), eicosapentaenoic acid (EPA), and docosahexaenoic acid (DHA). The focus of the research by Dr. Alexander and his team was EPA and DHA. Together, they selected 18 randomized, controlled trials involving 93,633 subjects and another 16 prospective cohort studies that included 732,061 people for review. In total, nearly 900,000 patients were studied in the team’s meta-analysis. In the randomized trials, a six-percent overall reduction in any coronary heart disease event was observed. The scientists define a coronary heart disease event as “fatal or nonfatal heart attack, sudden cardiac death and angina.” The reduction in risk was most significant in high-risk patients. For example, participants with high triglyceride levels who took the EPA and DHA supplement saw a 16-percent drop in heart disease risk compared to those who didn’t take the supplement. In the prospective cohort studies, an 18-percent reduction in heart disease risk was associated with participants with a high intake of EPA and DHA. In the instance of sudden cardiac death, the benefits of these nutrients was exceptional: The team says higher omega-3 consumption was associated with a 47 percent risk reduction in this arena. “The 6 percent reduced risk among randomized controlled trials, coupled with an 18 percent risk reduction in prospective cohort studies — which tend to include more real-life dietary scenarios over longer periods — tell a compelling story about the importance of EPA and DHA omega 3s for cardiovascular health,” said Dr. Alexander. The power of omega-3 fatty acids are virtually endless: From heart health to brain function, to inflammation and diabetes, the benefits of omega 3 can be observed in just about every bodily system. Earlier this year, research revealed that omega 3 fatty acids could be especially useful in reducing inflammation and increasing insulin sensitivity — big news for diabetics looking to manager their condition naturally. As Natural News reported, a study led by Jerold Olefsky, M.D., along with his colleagues from the University of California, San Diego School of Medicine, found that fish oil interacted with receptors located on immune cells responsible for promoting inflammation (and consequently, insulin resistance) — and “turned off” the inflammatory response. “Omega-3 fatty acids have a molecular mechanism that efficiently reduces chronic inflammation and insulin resistance. This can help experts formulate a simple dietary remedy that can benefit an estimated 23 million individuals who are diagnosed with diabetes in the U.S,” sources explain. Research has also shown that omega-3 fatty acids are essential for brain health — and may even be useful in the prevention of Alzheimer’s disease. You can learn more about what foods and supplements promote natural healing and longevity at Prevention.news.